In conjunction with our commitment to provide quality services that meets the expectation of the customers, we maintain a quality system that provide assurance on our quality. 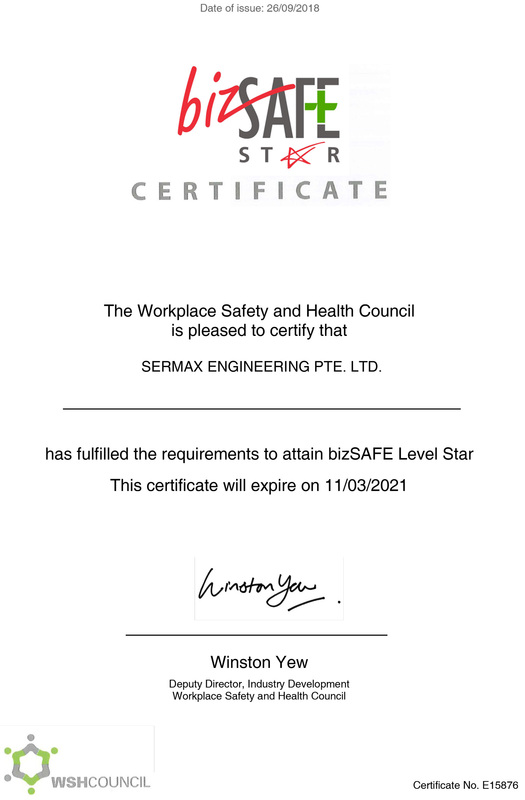 SERMAX Engineering Pte Ltd has fulfilled the requirements to attain bizSAFE Level Star issued by Deputy Director, Industry Development Workplace Safety and Health Council of Singapore in September 2018. 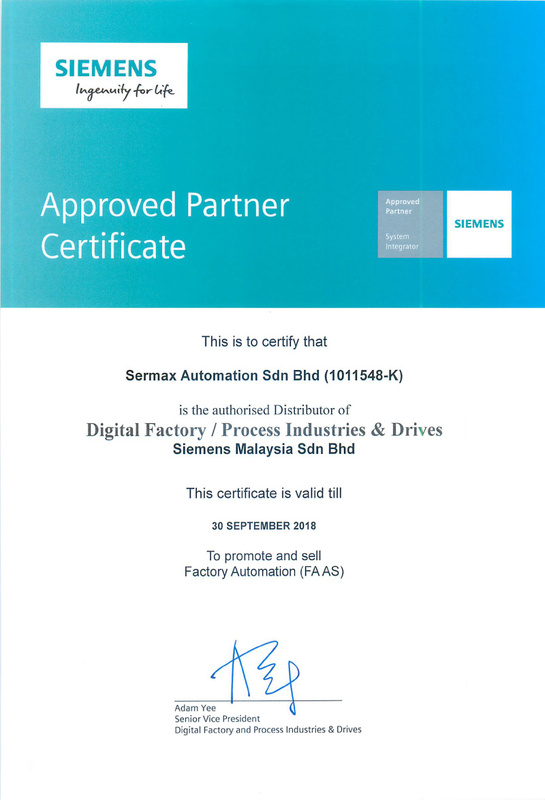 Sermax Automation Sdn Bhd is an authorized distributor in Digital Factory / Process Industries & Drives who is certified to promote and sell Factory Automation for Siemens products as a total solution provider. 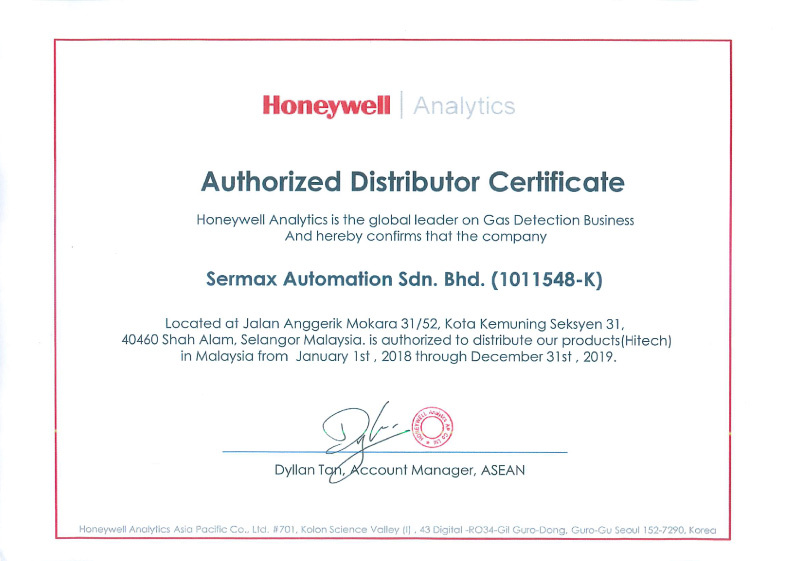 Sermax Automation Sdn Bhd is an authorized distributor for Honeywell Gas Detection Business related products in Malaysia. Sermax Automation Sdn Bhd is a registered member of CIDB Malaysia under the category GD (with capability to tender up to RM 1 Million ringgit worth of job) and B (Building Construction) & GE (Infrastructure) category. 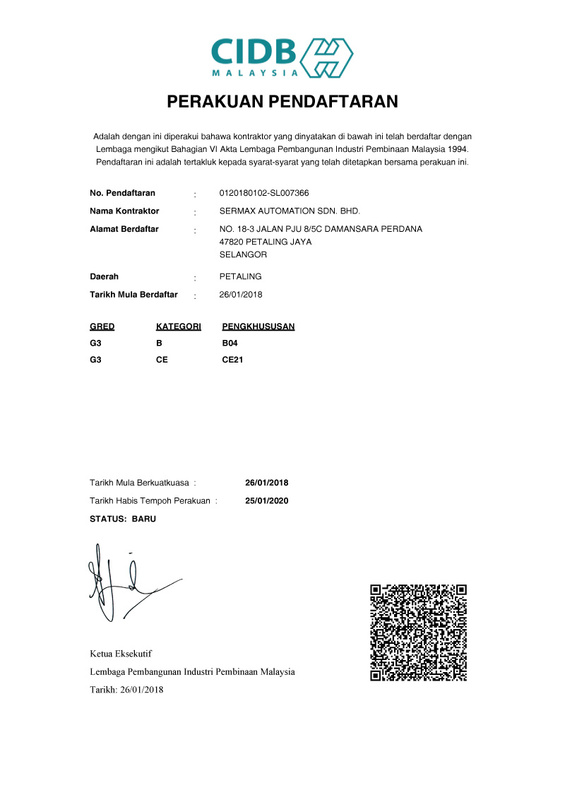 Sermax Automation Sdn Bhd had been awarded the ISO 9001:2015 Quality Management System Certification by BM Trada since September 2017. ISO 9001-2015 Quality Management System certification complies to quality management principles which includes a strong customer focus, motivation, management engagement, leadership, process approach and continuous improvement made on fact based decision. Sermax Automation Sdn Bhd actively supply, install, integrate, calibrate, test and commission Process Instrumentation, Process Control, Process Automation and Monitoring System to the Industrial Factories and Manufacturing Industries. Sermax strives to provide the highest deliveries of quality and values in its served industries. 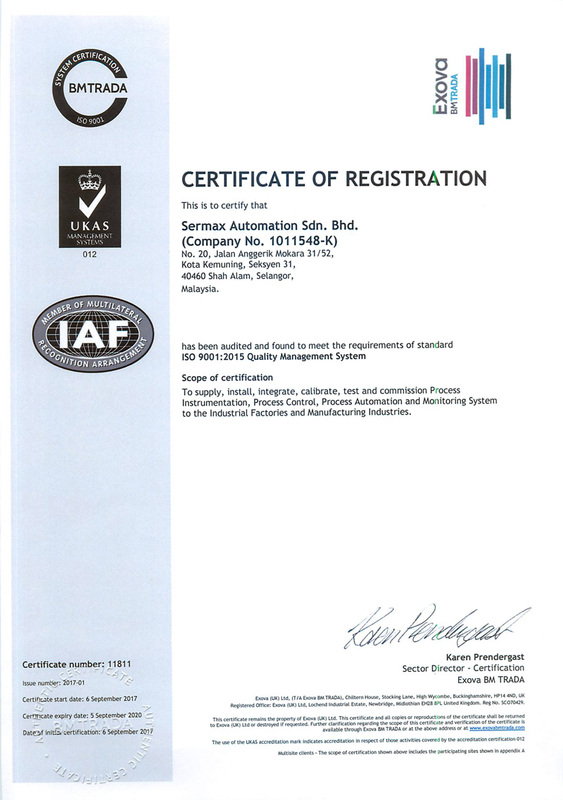 Incorporation of ISO 9001: 2015 Quality Management System has proactively prepared us to the changing market conditions. We are committed to make reviews and processes periodically to reflect the changing requirements. We seriously hope that our successful implementations would benefit all our Sermax business partners and customers.